The 42nd annual Comic-Con International kicks off July 21 in San Diego with a crowd of well over 130,000 fans, vendors, celebrities, and cosplay characters expected at the famous Convention Center. As you know, NECA always has a strong presence at the SDCC, and this year we have something really special for everybody. So, are you planning on going to the mecca of the geek world next week? If you are, then NECA wants to give you a free Gears Of War Retro Lancer! If you aren’t, then NECA still wants to give you a free Gears Of War Retro Lancer! 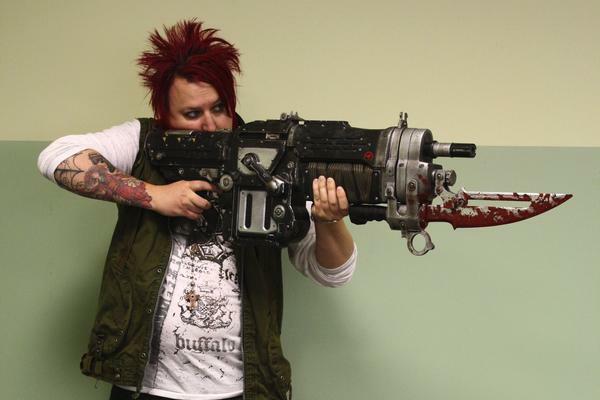 Take your picture with the Gears of War Retro Lancer at the NECA booth, Booth 3145, at the designated area. Verify with a NECA attendant that you have posted your picture to the NECA Facebook wall and immediately receive a free set of metal COGS tags. Everyone who does the above will also be immediately entered to win a free Gears of War Retro Lancer. 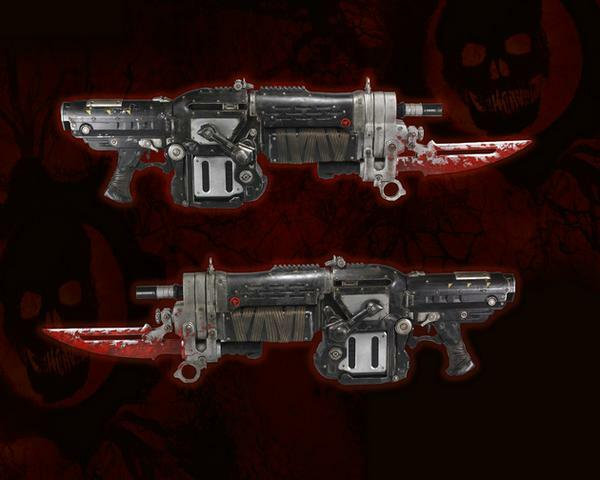 At least (1) Gears of War Retro Lancer will be given away each show day. Winners will be notified on premise, but will NOT have to come back to the booth for the drawing. As soon as you upload your pic to the wall and get your COGS tags, you’re 100% “in”. We’ll mail you your prize after SDCC. For those at home, post your picture with any Gears of War item on the NECA Facebook wall and be entered to win 1 of 6 free Gears of War Retro Lancers. Winners will be notified by August 5th. No purchase necessary to enter or win and Sweepstakes is subject of Official Rules. Sweepstakes is only open to legal residents of the 50 United States (including District of Columbia), age 17 or older. Limit one (1) entry per person.